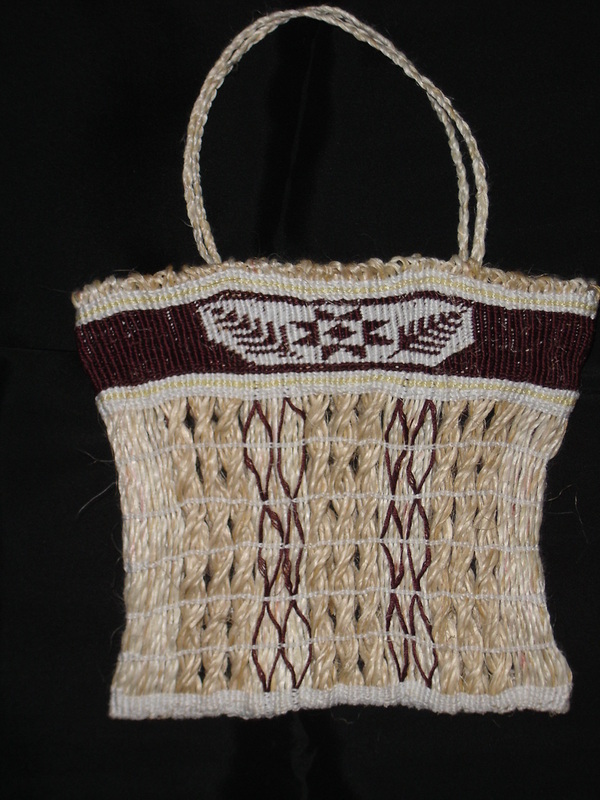 This kete was made using whatu work and taaniko (finger embroidery) method. It have used a mawhitiwhiti patternfor the main body part. The colours are: brown and white 4 ply cotton, natural and green tea dyed muka. I completed it for the Diploma in Maori Visual Arts in 2011. It uses a contemporary pattern for the taaniko - a star and fern leaves. Materials: muka and 4 ply cotton. Darker muka died using tea. 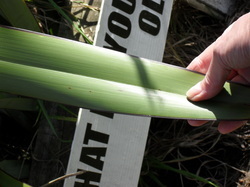 Muka is extracted from harakeke (NZ flax). It is quite a lengthy process. 2. 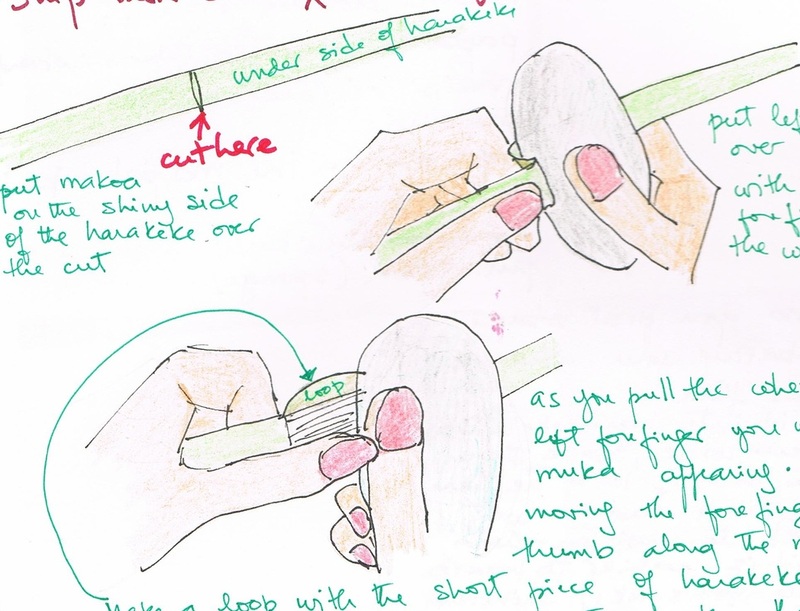 Cut the harakeke into strips about 1.5 cm wide and put them into piles of 10 shiny side up. 3. Soak them for at least one hour to soften it. 5. 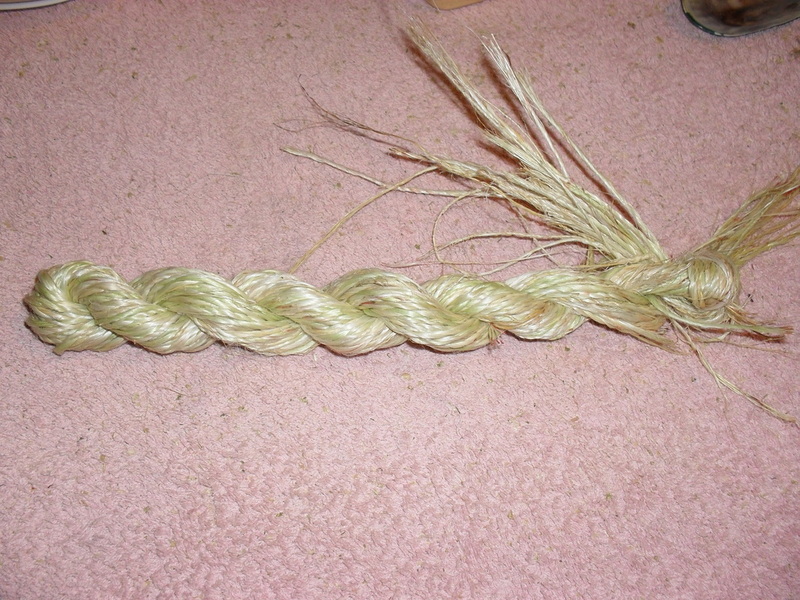 Then you need to miro the fibre, this is done by dividing the fibre you have just extracted into two and top and tail them, then you roll this muka in your leg, to twine it). Next soak your fibre overnight to get rid of the rest of the para (green) in warm soapy water (sunlight will do) and wash it the next day and dry. 6. Next step is to size the muka and skein it in bundles of 50. 9. 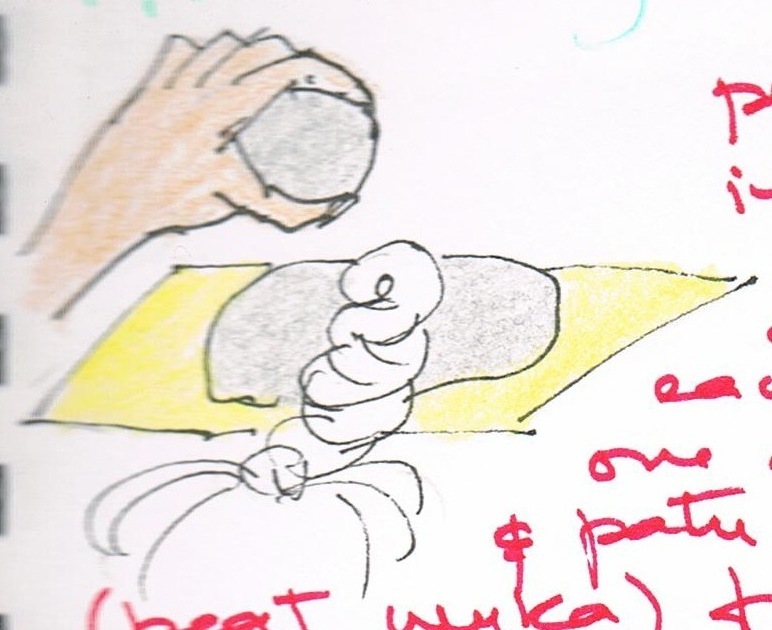 When almost dry (still damp), crimp the wool (konuru) by rolling the muka in your hands like a washing machine, from top to bottom. 10. Now dye it if needed or skein it again in bundles of 50, when dry to use later .